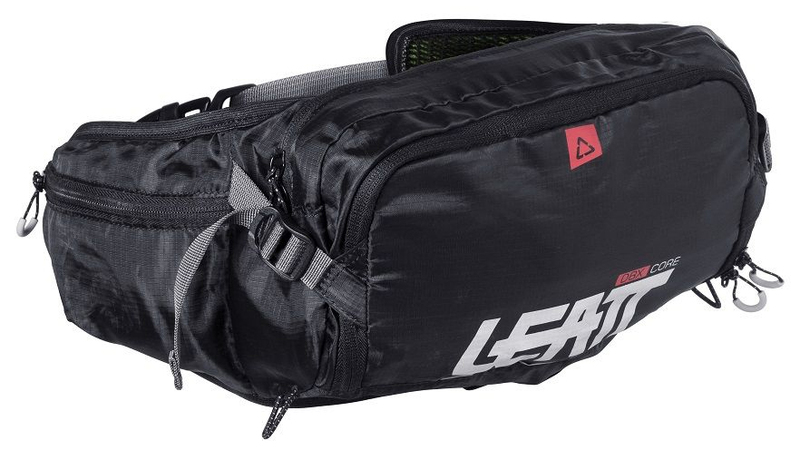 The Leatt Hydration Core 2.0 pack is a low-gravity waist hydration pack. It has a durable outer shell which has waist pockets and dedicated tool compartments. It has the capacity to carry two liters of water and five liters of cargo.